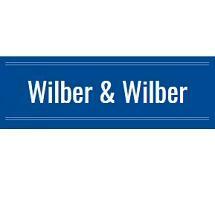 The law firm of Wilber and Wilber in Port Clinton, Ohio, is led by me, attorney George C. Wilber, a Port Clinton native. I have more than 25 years of experience providing high-quality legal advice primarily in the areas of estate planning, business and commercial law, real estate law and municipal law. Estate planning: The clients I represent for probate administration, wills and trusts come from all walks of life, from retired manufacturing workers, to marina owners, to ferry company entrepreneurs. Business and commercial law for small business: As befits our location near Put-In-Bay, my clients include marinas, watercraft dealerships, boat lines, ferry companies, resorts, bar owners, construction companies and small manufacturing firms. Real estate law for commercial and residential property: As a real estate lawyer, I provide legal advice and services in regard to purchases, sales, land use and zoning, shoreline issues or riparian rights and mortgages. Municipal law: As the city attorney for Port Clinton, I focus on legal matters such as ordinances, zoning and city planning. I also provide legal services for other local government entities in Erie County, Ottawa County and Sandusky County. With all my clients, I am dedicated to personal attention, prompt responses and diligent, thoughtful legal representation delivered in a cost-effective manner. I will meet with you to understand your needs and circumstances and clearly communicate my legal knowledge, so that you can make well-informed decisions. Bolte Real Estate Insurance Agency, Inc.